We present an update of my previous article for cryptocurrency portfolio tracking. 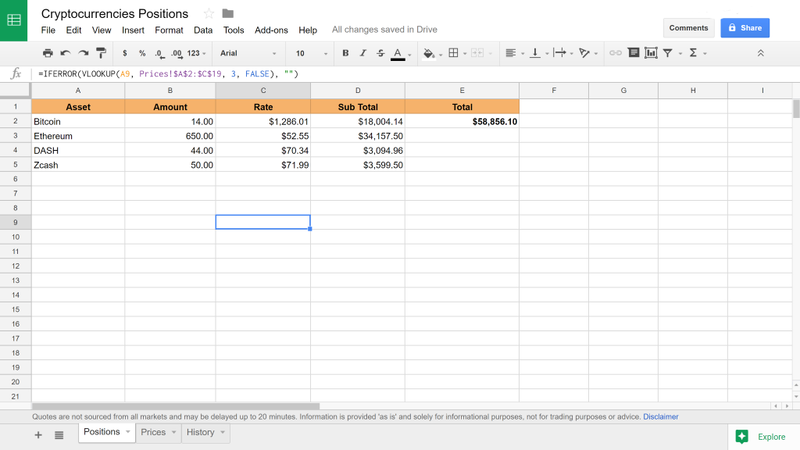 I received valuable feedback from some users, and I decided to update the spreadsheet based on those suggestions. 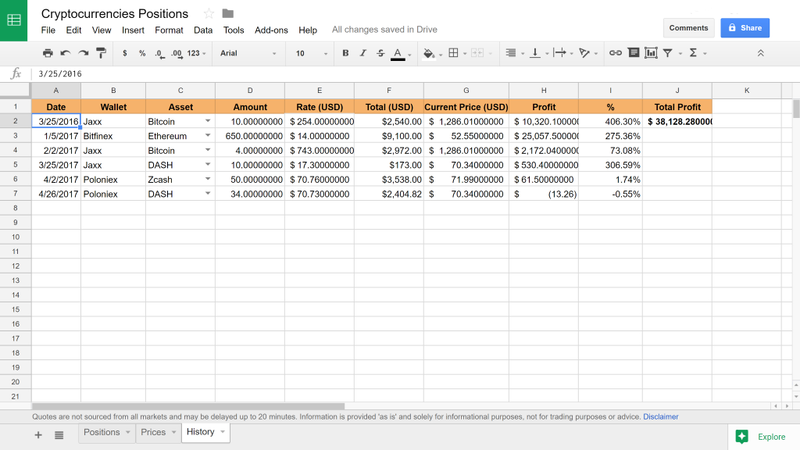 This new structure keeps tack of all your transactions, and also allows to calculate the profits of those movements. 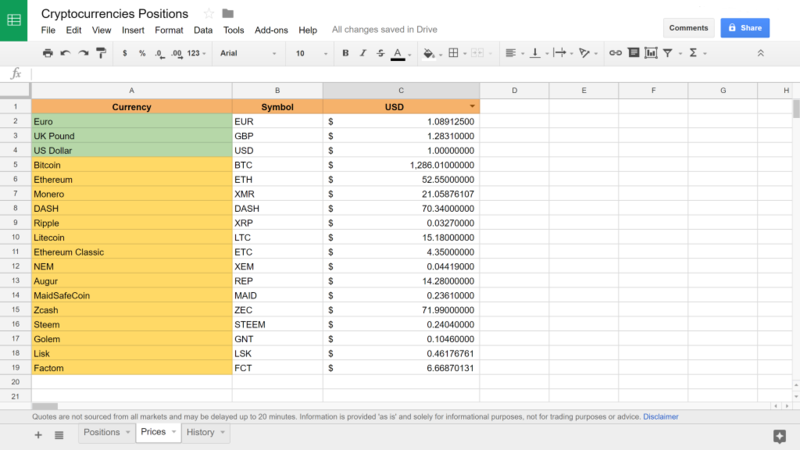 You can see, copy and comment the Cryptocurrencies Positions Spreadsheet. To create your own version go to ‘File’ -> ‘Make a copy’. Thanks to blockchain development team. Keep updated on my Twitter account.